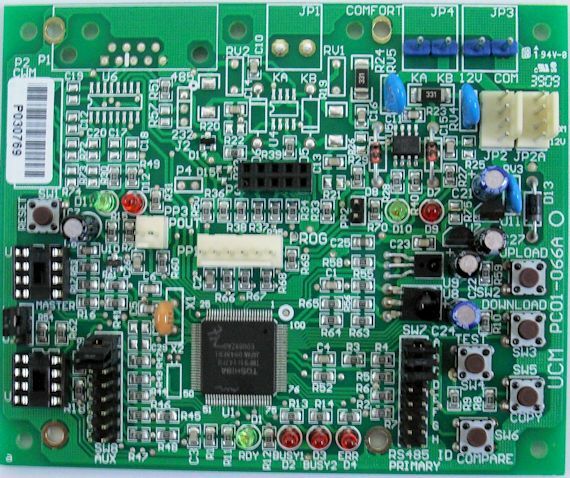 The UCM06 is the base board which can be converted to UCM/232, UCM/Ethernet, or UCM/USB by plugging in the submodule or daughterboards Rs232, ETH01 and USB01 respectively. The ETH02 daughterboard adds Ethernet interface to the UCM06. The USB01 daughterboard adds Ethernet interface to the UCM06. How do default the ip address or give it give it a new one? i cant seem to find any instructions anywhere. Use Tibbo DSManager which you can download from the Software section on the Cytech website.